We offer supreme quality Tensile Material Testing Machine characterized with precision screw and column construction and variable speed drive. The Tensile Material Testing Machine is suitable for studying mechanical behavior of various materials like metals, polymers, elastomers etc. 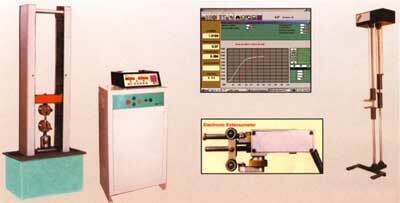 The Tensile Material Testing Machine confirms to IS, BS & ASTM standards.